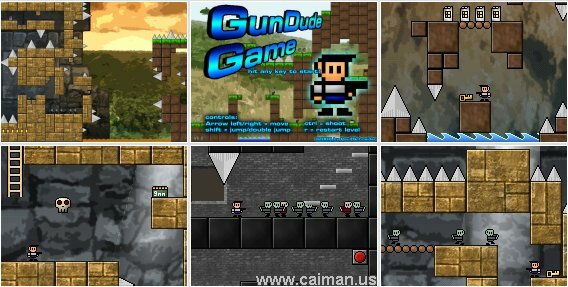 Caiman free games: GunDude Game by Paul Schneider. 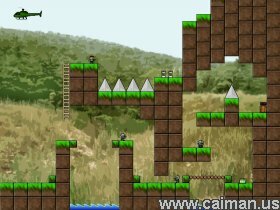 Nice platformer with small graphics. 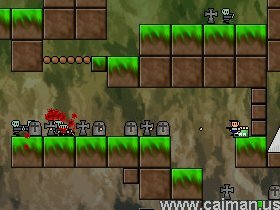 Collect ammo and keys, shoot the enemies down, jump over gaps, spikes etc.. and try to reach the exit. Instead of a save/load function, this game uses passwords. Each time you completed a level you will get a password. Fat Santa: 7 Days Till .